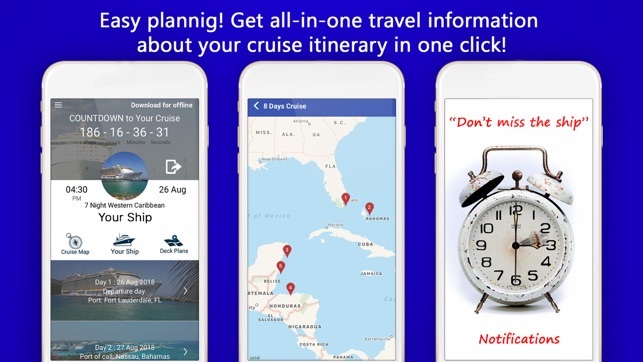 Cruise App by CruiseBe is an amazingly simple cruise itinerary aggregator that proposes day-by-day schedule of a cruise instantly. 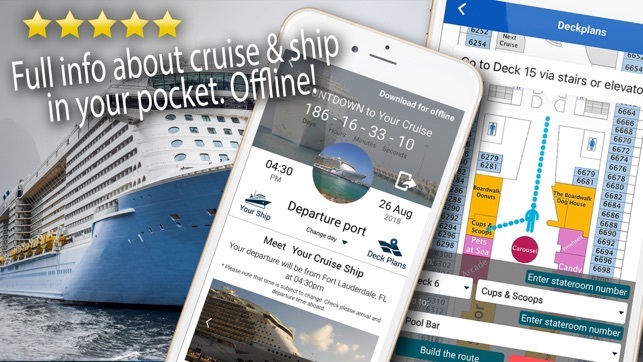 Only in one click, you will get ultimate agenda of your cruise with detailed articles from real travelers and a complete list of attractions and activities in each port of call and on the ship. Am I the only one having a problem with this app. 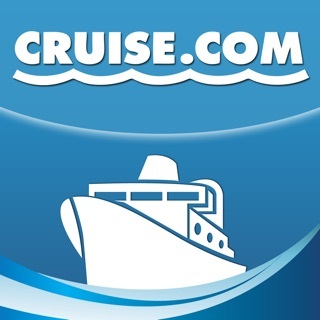 It will not recognize my login anymore every time you try to continue by selecting your cruise lines the buttons will not work and when you attempt to contact support the URL for the website keeps coming up as not found. I even tried to set up a new account and after putting in my email address it just keeps saying enter a valid email address. When I first downloaded this app it worked great then all the sudden everything seem to stop working. I have deleted it and downloaded this app several times and attempt to correct the problem but each time it seems like the problem is the same. I did not know of others were having the same issue since I see this app continuing to get 4+ stars. Not sure what is going on. Used to be a great app. Dear user, thank you for your feedback. We are making the app update, and we will check the login issue you are writing about. 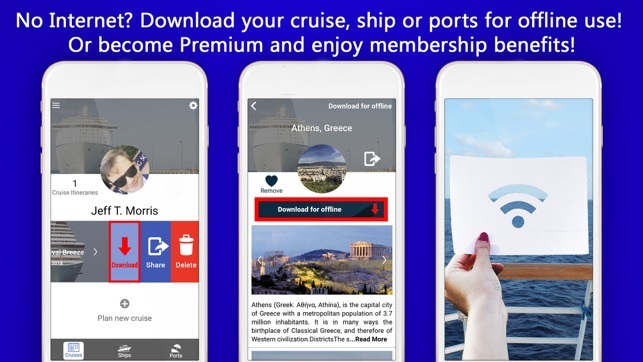 However, please feel free to write us via email admin@cruisebe.com and our support team will get back to you ASAP and help you with your login problem. I love this app. Getting feedback and advice from people who are experiencing the trip now rather than 4 years ago is extremely helpful. I love seeing the pics of places I have been from other travelers as well as places I've yet to go. I wish there were notfications when someone asks a question on the pics I post. I don't ever see them and feel like I ignored someone and could have helped them have a great vacation or warned them about things. Dear user! 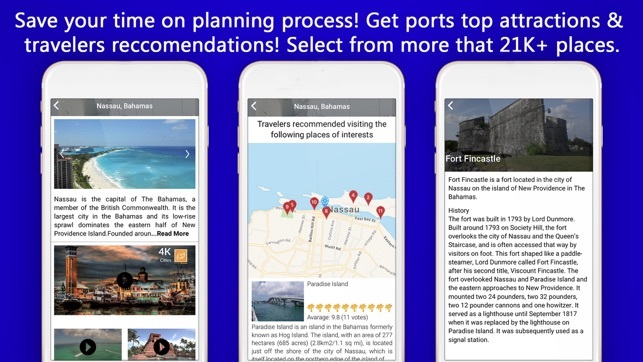 That is a great idea; we will consider adding such functionality to the app! Thank you for your feedback! 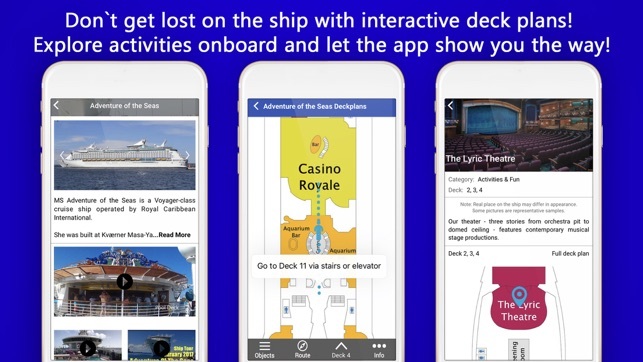 Since the cruise lines are taking so long to release their own app for their cruises, Cruise Be stepped up and gave them a reason to get moving on their own app, or, adopting Cruise Be as their own! 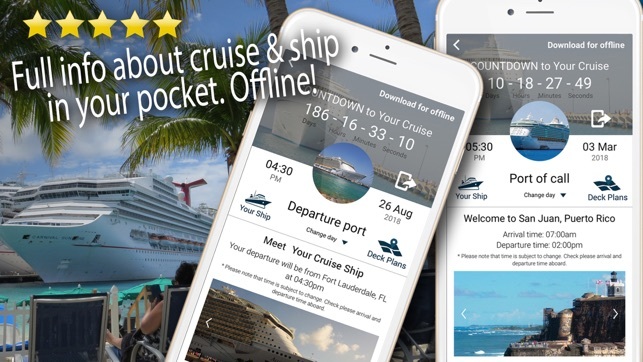 Once you know your cruise line, ship, and date of sail, you can use the app and be made aware of all port itineraries and the things to do at each port. 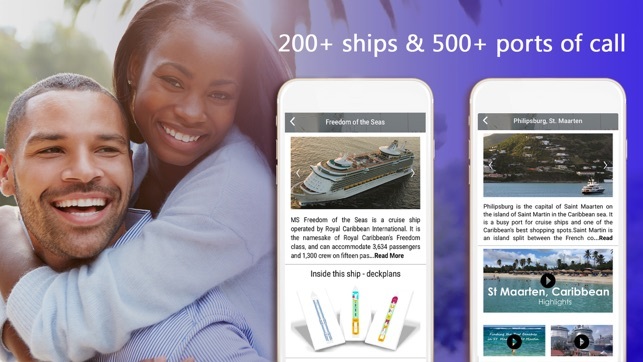 You can also download the whole app before your sail, so you don’t need the high priced internet connection at sea.